Pastor Rick Wiles has all the trappings of a modern evangelical minister. He’s got a radio show, a news network, gullible followers, and the ability to lie smoothly. Fresh off telling his supporters that ‘demonic’ democrats will murder GOP voters to win in 2020, he’s continuing his political conspiracy theories a little closer to present day. This time around, Wiles is telling his flock that Democrats will “slaughter” tens of thousands of Christians if they win the midterm elections. He’s taken “get out the vote” to the max. “They hate God. These people are against God. Every nation that has been taken over by Marxist-communists, they immediately kill the pastors. They immediately kill Christians. 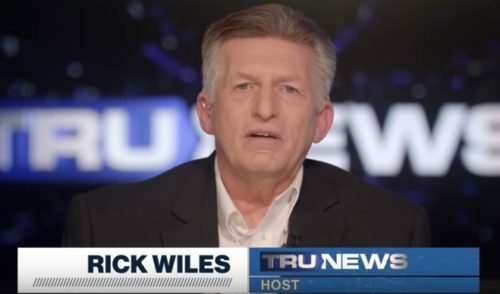 They immediately burn the churches,” Wiles said on his TruNews Network. “They’re coming against the church and I’ve been warning people for years and years and years – you better get ready, you better be prepared, if these people ever get power, they’re going to slaughter tens of thousands of pastors, tens of thousands of Christians,” he said.